Jenny is the clinical director here at Bracken. She joined Active Vetcare in 2004 after graduating from Edinburgh and has never left! She has worked in our Tilehurst and Woodley branches, starting as a new graduate and working her way up to a senior vet/clinical director role. 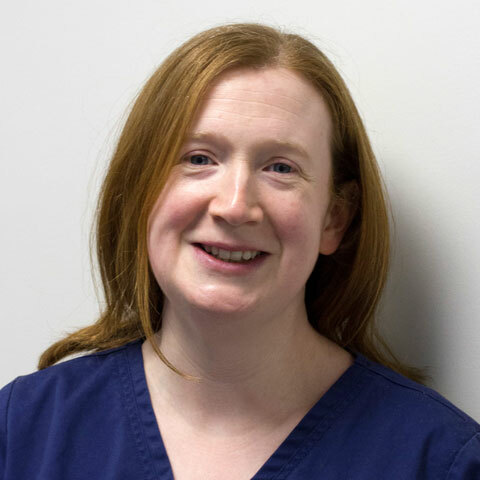 Jenny is an RCVS Advanced Practitioner in Small Animal Medicine – feline, having gained a GPCert in feline practice and the MANZCVS in Medicine of Cats. Jenny also enjoys treating guinea pigs, rabbits and dogs. She is currently studying for a masters degree in veterinary anaesthesia and analgesia to make sure that we can offer the safest and most up to date care for animals undergoing anaesthetics at the practice. She has two cats, Pippin and Gavroche, and an ex-race horse called Sparkie. Outside of work Jenny enjoys photography and sits on the committee of a local riding club.